See this Amazon page for all my books. My latest book: Edition of Ethics in Psychology and the Mental Health Professions (4th Ed., Oxford University Press). Those who work in mental health are expected to be among the most trustworthy of all professionals, given the highly sensitive nature of their work. Clients share their deepest personal stories and emotions in the hopes of finding solutions to their problems. Sadly, not all of these mental health professionals exercise their fiduciary duties in an ethical manner. 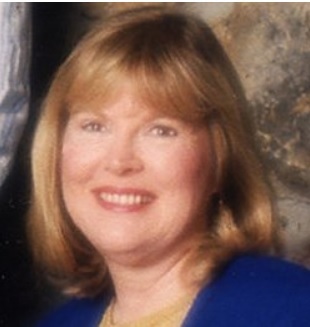 Dr. Keith-Spiegel served on the Ethics Committee of the American Psychological Association for 6 years after which she and her collogues wrote "Ethics in Psychology and the Mental Health Professions" for the purpose of educating professionals about the requirements and pitfalls inherent in conducting psychotherapy. Over 700 actual cases describe behavior that can cause clients harm and even result in the downfall of professionals themselves. Topics include unwarranted confidentiality breeches, sexual contact with clients, practicing in areas in which one is not competent, and dual role relationship resulting in the exploitation of clients. Patricia Keith-Spiegel, Ph.D., specializes in professional ethics, organizational integrity, decision-making, and resolution of ethical conflicts. She has written nine books and numerous articles in these areas. "Red Flags in Psychotherapy: Stories of Ethics Complaints and Resolutions" (Routledge, 2014), is written as narrative nonfiction, allowing for the underlying personal struggles of those accusing and those facing ethics charges to be revealed. Her current writing interests further explore the creative nonfiction genre. Her work on social justice, dishonesty, moral hazards, and irresponsible behavior in organizations has resulted in three federally-funded grant projects from the Office of Research Integrity, the National Institutes of Health, and the Fund for Improvement in Postsecondary Education. Other sponsors for her work include the Kellogg Foundation (Excellence in Leadership Ad), 21st Century Foundation, and the George and Frances Ball Foundation. She served two terms as Chair of the Ethics Committee of the American Psychological Association. Dr. Keith-Spiegel regularly taught professional ethics and ethical leadership classes in her 35 years as a university professor and as the Director of the Center for Teaching Integrity at Ball State University, where she is the Voran Honored Distinguished Professor of Social and Behavioral Sciences, Emerita. She also taught at California State University, Northridge, where she was awarded the California State Trustee's Award for Outstanding Professor across all state university campuses and disciplines. She is also a recipient of the Distinguished Professor Award from the American Psychological Foundation. She was a visiting Professor of Psychology in the Department of Psychiatry at Harvard Medical School, and Visiting Professor and Senior Research Associate at Simmons College in Boston. Keith-Spiegel served as President of the Western Psychological Association and as President of the Division of Teaching Psychology of the American Psychological Association.